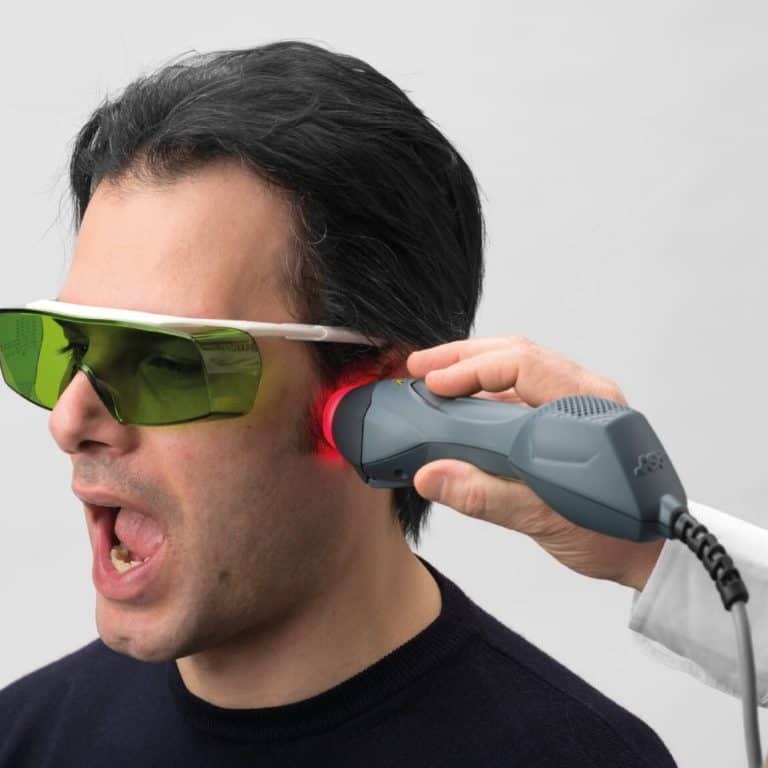 High powered therapeutic lasers for treating pain, inflammation and oedema in dental practice. High power Class IV laser delivers shorter treatment times, reduced number of treatments and faster recovery. Produces simultaneous action on pain, inflammation and oedema through 905nm pulsed emissions synchronised with 808nm continuous emissions. Equipped with an innovative backlit graphic touch-screen display that interacts with the operator in a simple, easy to use, intuitive manner. 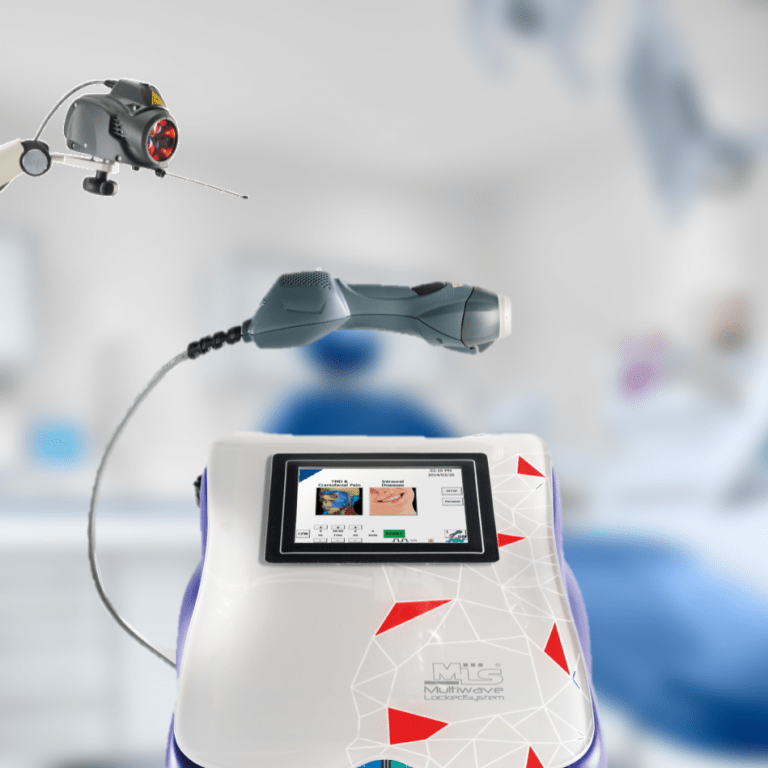 Find out everything you need to know about the world’s only range of dedicated therapeutic dental lasers. 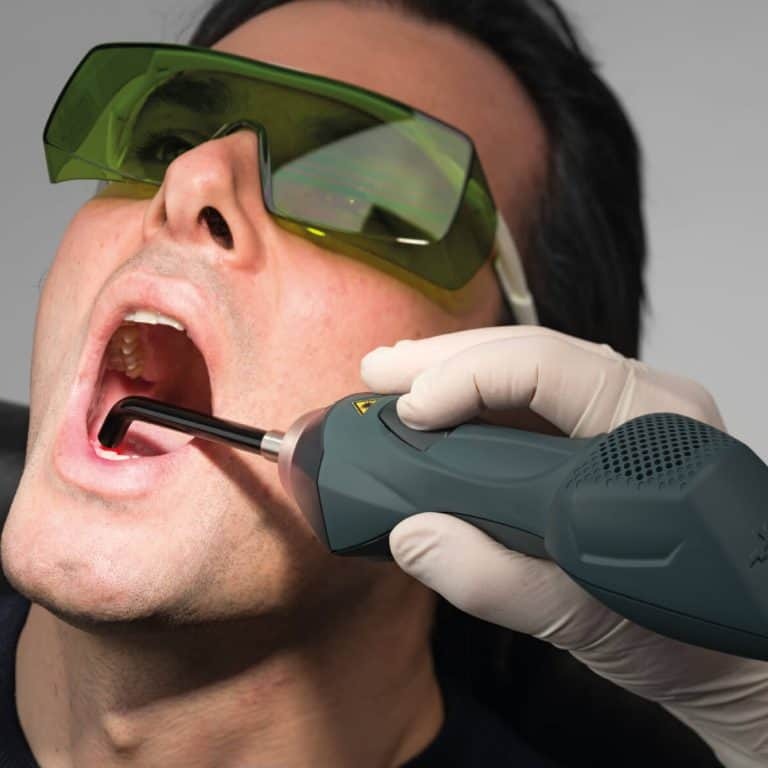 Portable dental therapeutic laser with ergonomic handpiece 2cm diameter target area using high power dual-wavelength MLS® laser system. 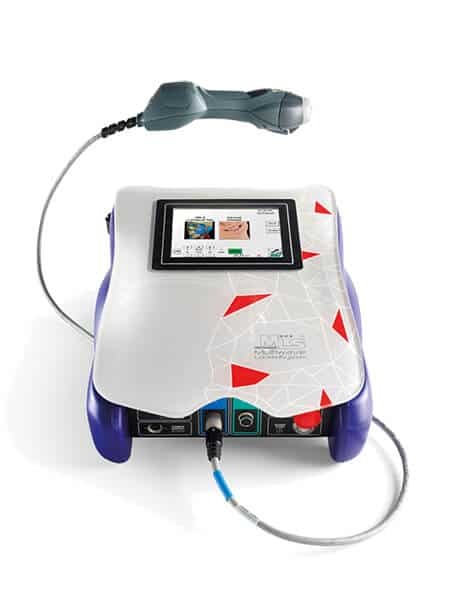 Mphi D unit including handpiece plus addition of multidiode laser with 5cm diameter target area on pantographic arm and transport trolley. The Mphi Dental range includes high powered dual-wavelength Class IV lasers. 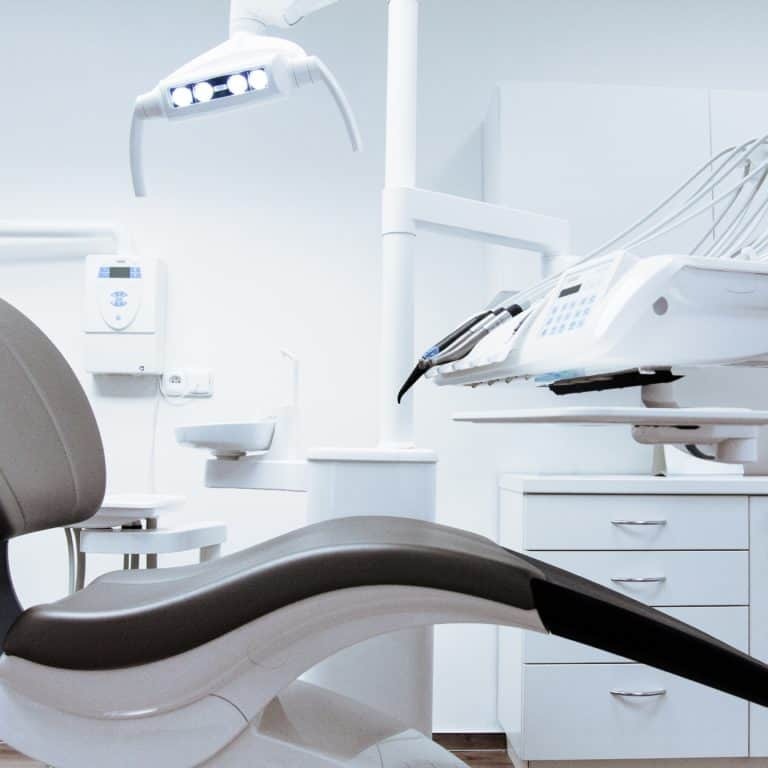 They are designed specifically to provide fast and effective treatment for orofacial pain, TMD, intra-oral conditions including orthodontics and oral surgery. 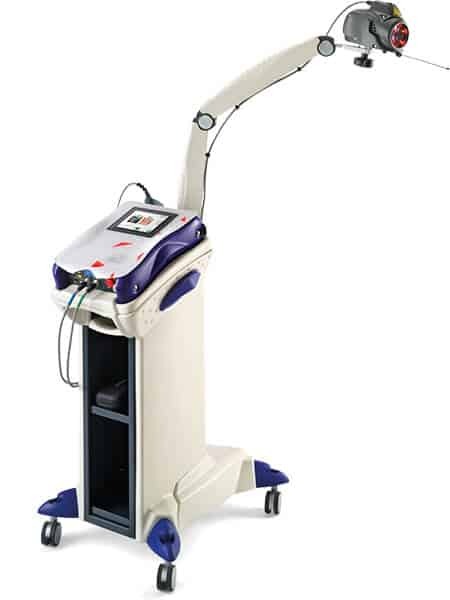 The MLS® laser is a two-wavelength laser. It helps decrease pain and inflammation on the area that we apply the laser. We use it every day. It’s our workhorse. I can’t see patients without it. 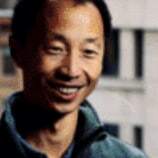 And the MLS® Laser is a very good practice-builder. We use it for cold sores, orthodontics and pain, especially for jaw joint pain and neck pain. There’s no other laser that can give that kind of result. Reduction in pain – pain from pathology, trauma, iatrogenic; pre-operative and post-operative; pre-emptive. Reduction in oedema – swelling associated with disease or injury or potentially post-treatment. Can be used to ameliorate or prevent. Biostimulation – improved healing of soft and hard tissue damage caused by pathology or iatrogenic. The MLS® laser achieves its results through the synchronised use of a superpulsed 905nm wavelength laser with the continuous wave of a 808nm laser. This delivers synergistic treatment of pain, inflammation and oedema in a single treatment session. The synchronised dual-wavelength beam provides unique results so that pain reduction is greater than with the equivalent single wavelength beam. While the 905 superpulsed laser is treating pain and promoting healing, the continuous beam 808nm wavelength simultaneously reduces inflammation and oedema. The 905 laser is a true superpulsed laser in contrast to many pulsed lasers that are merely chopped (turned on and off). The pulse rate of the MLS® laser is so rapid that the treatment area cannot heat up no matter how long the treatment lasts. It makes the MLS® laser perfectly safe. © 2019 Digital Dental. All Rights Reserved.